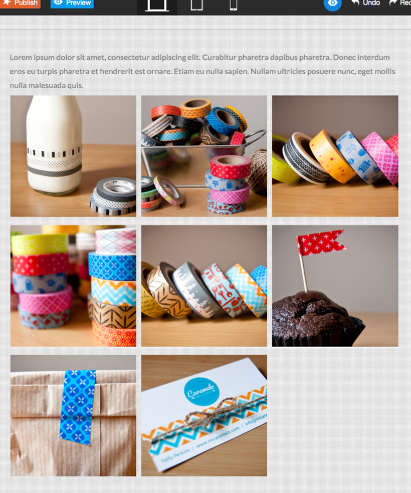 In our brand new editor, we now offer you the possibility to add an image gallery to your website. 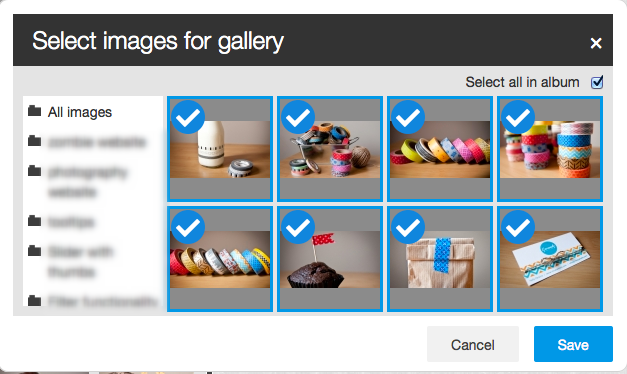 If you want to add all the images you have in your album, just tick the box that says 'Select all in album'. 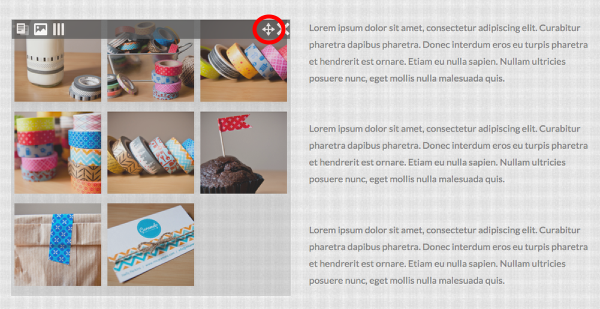 The order in which the images will appear in the widget is the same as in which you are looking at them here. If you want to change the order of your images, you'll have to add them one by one by clicking on them in the order you want them to show in your gallery. 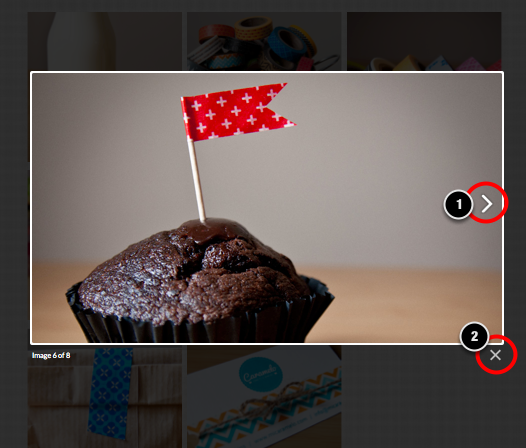 After clicking on one of your images, a lightbox will appear showing a bigger view of your image. Click on the arrow icon (1) to move through the images in the gallery, or close the lightbox by clicking on the cross at the bottom (2). 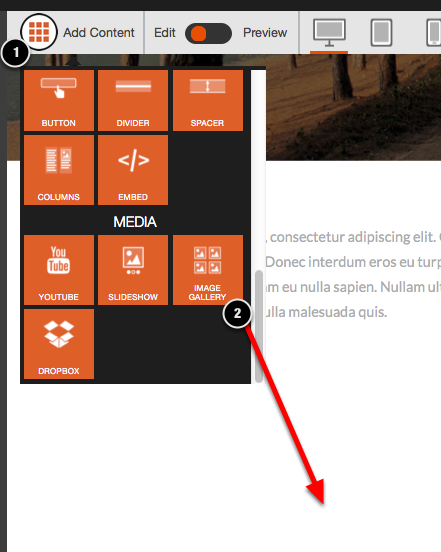 To drag the image gallery across your site or to place it inside a column, just click on the drag icon and move it. If you added the code but its not working in your published site you'll need to log out, clean your browser cache, log in, add the code again into your embed widget and re publish your site.